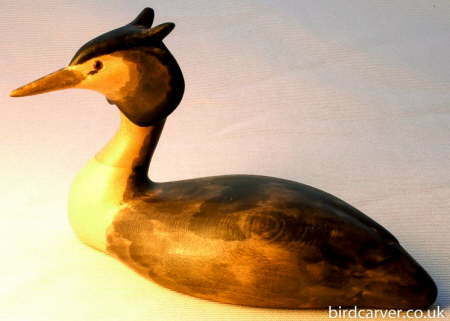 Great-crested Grebe 1 has its crest and ruff fully-displayed and is sculpted from lime, tinted with chinese ink stick and finished with wax. It is 12 cm (approx. 4.75") in length and is signed by the artist.